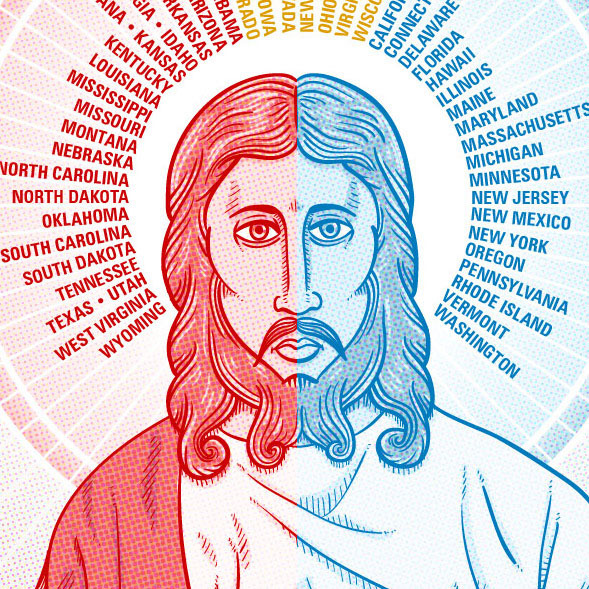 Illustration for a CNN article about how popular conceptions of Jesus differ in red states and blue states. 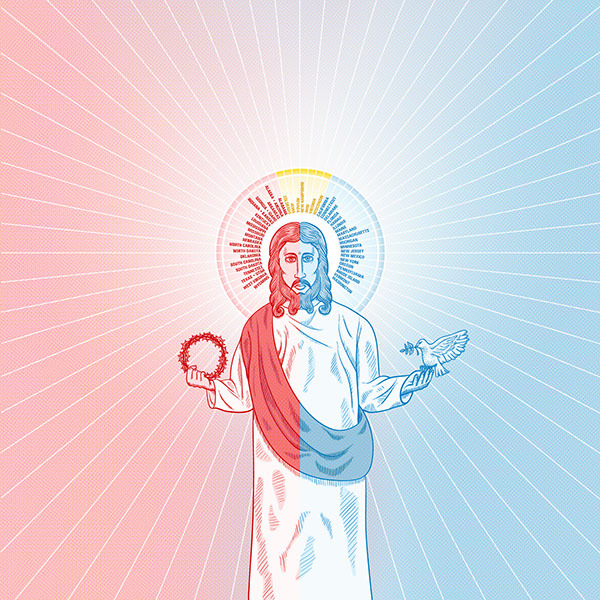 All images Copyright © 2012 Cable News Network. Turner Broadcasting System, Inc. All rights reserved.